NOD is a gaming magazine for old school games that comes out whenever I find the time to do it. Each issue is centered around a wilderness hex crawl or city-state from the Land of Nod setting. In addition, there are articles on the Nod setting, new classes, new races, new monsters, magic items, mini-games, fun random tables and advice. Most articles are keyed towards the games I have written, including Blood & Treasure, Bloody Basic, Grit & Vigor, Mystery Men!, Pars Fortuna, Space Princess and the Quick and Easy series of games, but other open content games are sometimes covered and most material is broadly compatible with all old school games. For those who wish to sample NOD before buying, you can check out the various blog posts that describe the setting and even download issue 1 and 6 for free. Other issues can be purchased at RPGNow.com, Drivethru.com, and Lulu.com. The full catalog is available at Lulu in digital and print formats. NOD-DEX - a guide to in which issue classes, races, monsters and spells appeared. Could probably be more updated, but it should help if you're looking for something in particular. NOD GUIDE - The Nod guide is a project by Sandor Gebei to make lists of all the encounter areas in the Nod hexcrawls. The guide covers NOD 1 so far; you can download two versions, one in list format, the other in category format. This page also serves as a repository for NOD maps. The process of printing these maps in grayscale often makes them difficult to read. 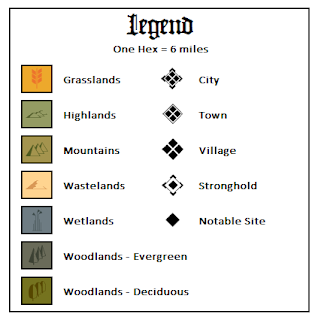 It bears mentioning that the hex maps were created using Inkwell Ideas excellent Hexographer. I use their Coat of Arms Visual Designer as well - all good stuff. 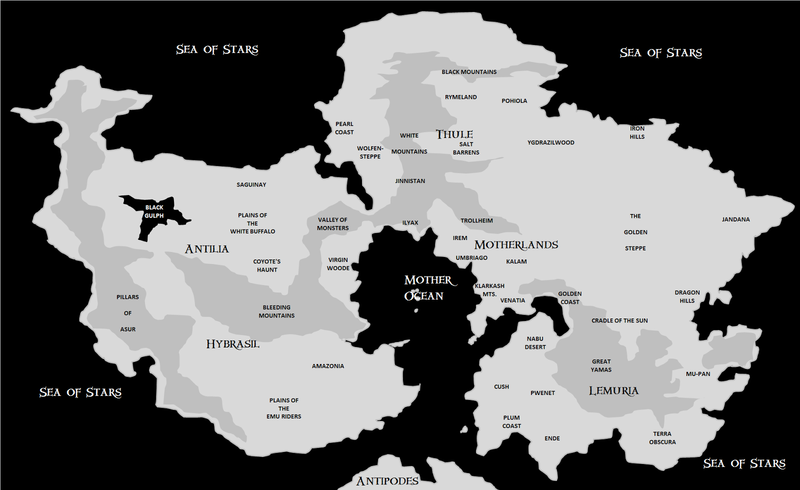 This map gives you a rough idea of the NOD campaign world. I plan on detailing it all as a hex crawl eventually (and assuming I live long enough). The following maps should be legible. Reference to the issue of NOD they appear in is given. The legend below relates to the early NOD maps - those created before I suffered a computer crash. Thereafter, I used symbols that should be pretty self-explanatory. The Wyvern Coast hex crawl actually includes portions of the savannah of Pwenet and the desert of Nabu. The Wyvern Coast itself is a long chain of sun-baked hills and mountains. Venatia is a portion of the Europe-inspired portion of the setting. It includes the northern bit of the Nabu desert and the city-state of Ibis, the Golden Sea and the hills surrounding it, and the woods and mountains of Venatia proper. Mu-Pan is the Asian-inspired setting within NOD. It covers jungles, icy mountains and steppes, and is home to the wondrous Jade Empress. Yep - Hell, at least in the NOD setting. The "Hell crawls" are intended for really high level characters ... because once you enter, the only way out is through Lucifer. Good luck! The rain forests of Kush and the savannahs of Pwenet are inspired by the rich myths and folklore of Africa ... with a little vine-swinging jungle lord thrown in for good measure. The Virgin Woode is a hex crawl inspired by the British colonies in North America, pre-Revolutionary War. The adjacent Damnable Sea involves a re-awakened Atlantis bent on conquest of the air breathers. Ende is a dusty plateau surrounded by lush savannah and jungles. It is inspired by India, and home to four great city-states ruled by naga queens. A great war between Law and Chaos is coming, and Ende is going to be the host. The Klarkash Mountains are jagged peaks that divide the Olde Empire of Nomo from the quarrelsome kingdoms of Venatia. They are a maze of narrow valleys and subterranean vaults and tunnels, and home to many creatures of chaos. The Trollheims are one small corner of Og, the wild and woolly lands of the noth. They are home to trolls, ogres, giants, the kingdoms of elemental humanoids and Azsor, the city state of mighty King Mogg! Nomo was once the greatest empire in the Motherlands, but the disappearance of its emperor has shaken it to its foundations. Now the nomads of the desert press in on them, and the people are in near rebellion. Sounds like just the thing for a bunch of murder-hobos with big dreams and even bigger swords. Kisthenes is home to a big batch of cantankerous city-states, ancient beyond memory, that are getting ready to unleash chaos on the world. After the Tiamat-worshipping Warudi nomads conquered the largest of the city-states, they began plotting to summon Tiamat itself into the material world. Now the others are getting in on the act, and there will be all heck to play if somebody doesn't stop them. Is there some kind of big Nod bundle for those who want to get it all? 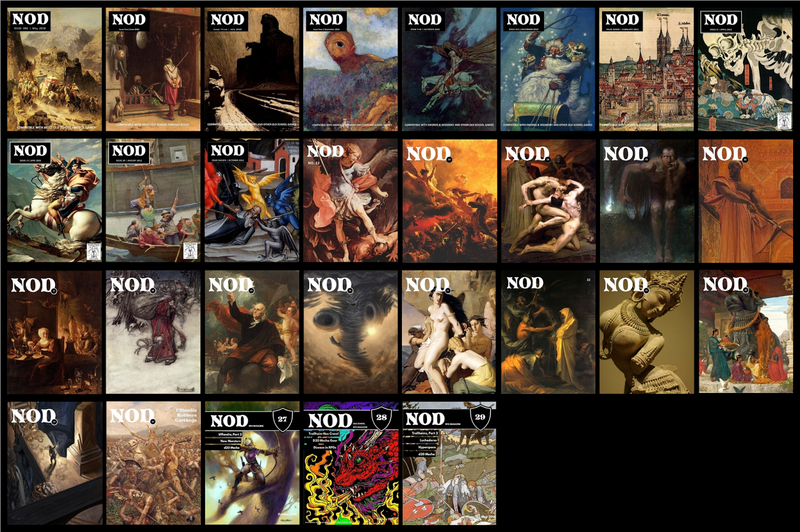 When I get the past issues of NOD uploaded on rpgnow, I will create a bundle (when I figure out how to make bundles, of course). Fair warning, though - it will take me a while to get them up there. I have lots of other irons in the fire at the moment, mostly outside of gaming. any update on that NOD bundle? Just noticed that save for the last three maps none of the links seem to work. Still pondering what I want to do with old issues in terms of bundling on rpgnow.com. I could just take them "as is" and drop them on - nothing wrong with that. BUT ... 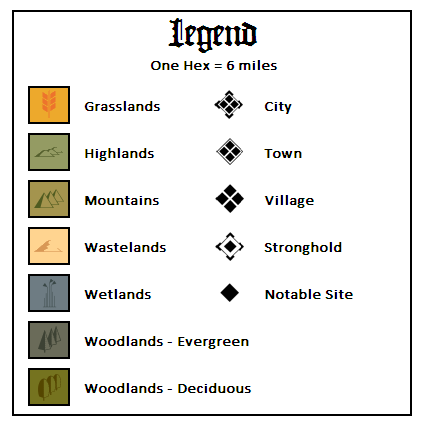 I've also considered updating them (in terms of layout, editing, etc) and turning them into something more akin to the old Gazetteers for D&D. I could commission new artwork this way and make them better products. I would love to get the NOD crawls in 64 page Gazetteer format, the map and the crawl in one place. I already love the HCC booklets, so this could be considered a "step up" for those that want more content in a similar, contained format. Have you considered doing a Kickstarter for it? I don't do Kickstarters, but I am going to do something along these lines. They won't be 64-pagers - most of the "half" hex crawls were about that long, so knocking a couple together, plus some city info and maybe some additional rules material would probably make for books in the 100 to 120 page range. Time is my only problem, but I'm almost through with revising old material this year and new projects are mostly pretty light. If I can, I'll start working on the old NOD material in 2018 and aim for one or two books a year, with year one covering material originally in issues 1 to 6 of NOD.